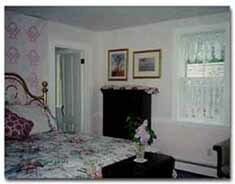 All rooms at the Wood Duck Inn have private outside entrances and private baths. And for your comfort and convenience each room offers Wi-Fi, a flat screen television, refrigerator, microwave, iron and hair dryer. Please Feel free to use and enjoy the new outdoor shower. 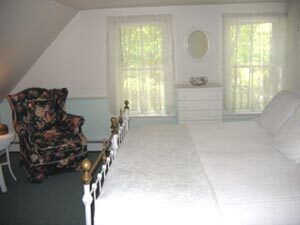 This is the coziest room in the Inn and offers guests true cottage ambience with a queen-size brass bed and Country/Victorian furnishings. It is conveniently located on the first floor. 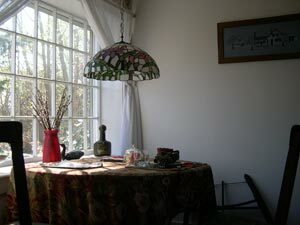 Our most requested and private suite is located on the second floor above the barn. 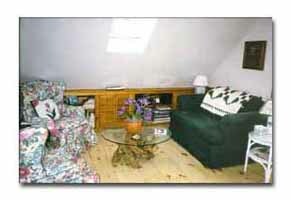 The comfortable and open great room is a combination kitchenette/sitting room with a cathedral ceiling and skylights. 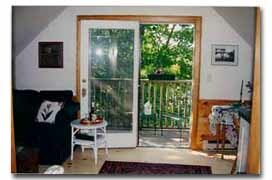 Lovely views of the yard and cranberry bog can be enjoyed from the balcony. 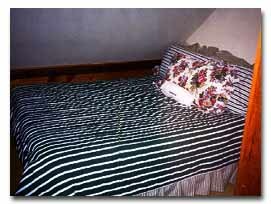 A separate bedroom offers a queen-size bed, second television, and Bose Wave radio. The privacy and availability of a rollaway cot and futons make it the ideal getaway for adults or the traveling family. 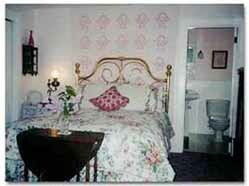 Our most romantic suite is located on the second floor. 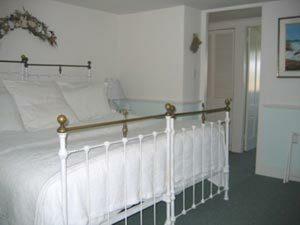 The large bedroom done in the restful colors of sage green and white offers a king-size antique iron bed. 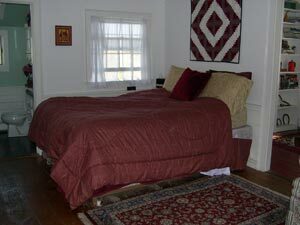 The daybed in the sitting room overlooks the garden and cranberry bog and is the perfect spot to read, listen to the Bose Wave radio, or take afternoon naps. Copyright ©  2017  Wood Duck Inn All Rights reserved. 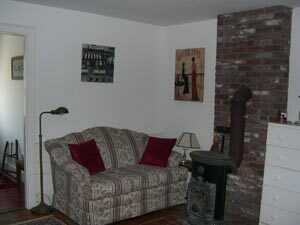 This rustic and charming suite is located on the first floor and offers guests a queen-size bed, love seat and wood-burning stove for those cold winter nights. 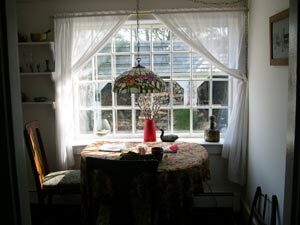 There are 2 large windows in the adjoining dining room which afford views of the garden/woodshed and cranberry bog - a delightful breakfast spot.